Work for Nagios Network Analyzer? Learning about Nagios Network Analyzer? "Nagios is an excellent platform to monitor your network or network services"
- What I like most about nagios is that it is constantly checking each host on the network and detects any failure that may be occurring, such as high latencies, lost packets or the service dropped in its entirety. - Another thing that I like about nagios are the alerts that it emits constantly, that way it is not necessary to be entering to check the network constantly, because it gives you an alert in case there is a problem with a host. - A benefit that I have obtained from nagios, is that it allows you to integrate with other platforms and applications, that makes the work much easier. - Something that would be good to improve, is the fact that the larger the network, the longer it takes to check each host and service, which gives some delay in the alerts it issues. - The only thing I do not like about nagios is that to implement it requires a certain level of knowledge in the use of free software. Personally I highly recommend it, I am currently a systems manager of a company that provides internet service and we use this tool to monitor all our infrastructure and international services. At the company level, it helps you to constantly validate that network services and infrastructure are working correctly, and helps to detect more quickly any damage that may affect other departments. "Nagios, the only monitor you should use"
Nagios is very flexible and expandable. We can write our own plugins to custom fit our environment for the exact equipment and checks we need to see. Commercial version is a little expensive, however the "core" opensource version is the same engine and allows us to deploy the plugins we need with alerting we need for our network of over 3k devices and over 9k service checks. Pro-active and reactive alerting of critical network equipment. Nagios allows us to keep a closer eye on our SLA customer devices as well. "Nagios, sistema de monitorización de redes"
Si, lo recomendaria a todos los que quieran llevar un control y monitorización de sus sistemas en tiempo real, para asi poder atajar cualquier incidencia de la red lo antes posible. Con Nagios puedes vigilar equipos y softwares en tiempo real y que te alerte si ocurre alguna incidencia o algo fuera de lo normal. "Nagios helps us monitor our network with ease"
Very nice product for quick checks, easy to configure from server and client side, Open source..which can be a double edged sword, but at least you have options. Nagios operates well in large environments. Nagios websit ehas most basics thoroughly documented for reference. All of the false positive alerts are annoying and time consuming to sift through from a technical support/help desk standpoint. It's a reat tool but considering how many years it has been existing it barely evolved. By default every alert triggers a notification. it also does not support plotting graphs of the monitored values. We use nagios to monitor our 1000+ server farms and it works great for individual services on each server. The business problems we are solving is ensuring when there is an issue with a server our system admins handle it right away as they are alerted to the issue before it gets out of control. without nagios we wouldn't be able to accomplish that task. Malleability is Nagios' true strongpoint. I have seen it used in 3 fairly different environments. I've used 3 different frontends, currently using 2, to interact with the nagios backbone. Each having their own strengths and weaknesses respectively. When it comes to interacting directly with it via the CLI, while not the nicest to look at or work with, it does exactly what you tell it to. Directly editing configurations can sometimes be a bit of a process due to having to dig through the files in the terminal. You get out what you put in, and for most people the quality of their nagios experience will have to do with what front-end they end up putting in. I have only ever used nagios to monitor systems, would recommend for large scale operations. It is able to handle all of our needs and is highly customizable when it comes to its alerting. I would recommend looking into the various front-ends that are available for it, as that will determine a large chunk of your experience. In all the scenarios where I have used nagios, it has been the monitoring of a vast amount of servers/systems and being able to report issues quickly. Without nagios, the online business unit operations teams would be operating "blind". 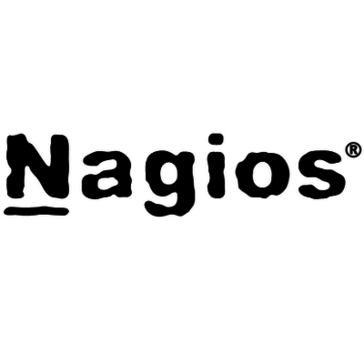 "Once you get past the hard part, then comes the hard part..."
Nagios has changed the way we do business in the sense that we are now more aware of our capacity than ever and are able to provide our customers with a next level service that has only improved as we continue to use nagios. Configuring the product can be difficult and outlining information in alerts can also be just as difficult not only for creation, but also review. Configuration can be difficult, take your time and ensure that you give your whole team a rundown of what you hope to accomplish with the product and their purpose with it. A gap in our monitoring solution has now been resolved. There were several fires as a result of the lapse in monitoring that has now been alleviated by the addition of nagios into our systems. "A basic network monitor that works well"
The little alert bar that tells you instantly whats going on. As well as the various map types allows you to explore your network looking for links to servers or switches that might have issues, it allows for rapid detection of exactly where your issues lie. Check out everything, do your own research. This is not for everyone, but good for small to medium sized organisations. Mainly server and network monitoring. Has considerably speed up rapid analysis of issues and assisted in prompt resolution of any outstanding problems. "Still the standard monitoring tool for sys admins"
Once it's set up, the web interface is great. We use it extensively so that those in dev ops can monitor the server environment. Very flexible and configurable. Can be cumbersome to set up at first. Lots of configuration files. The default templates do help. Use the templates provided. They go a long way in getting it set up correctly. Nagios allows us to monitor servers and notify us when something goes wrong. It gives us more lead time so we can fix issues before customers notice them. 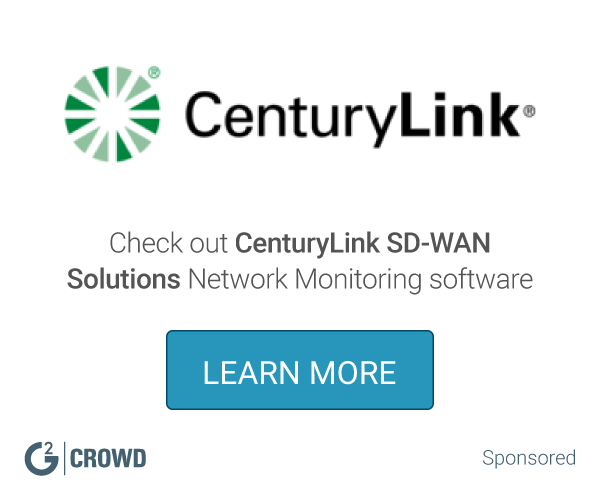 "Excellent Freeware Software for Network Monitoring"
Overall the price factor but I really like that we can setup services to ping devices all around our office, not just networking equipment. Do your research and don't be afraid to test. We've solved a way of monitoring our networking equipment/IT equipment located within all our offices to send us notifications as to when they go down. This is an incredible benefit because we get alerted in real time as to when issues happen. "Works well, if a little clunky to set up." It monitors everything we threw at it. It can even tie into pagers (yes, old style beepers) to deliver notifications. Down time and maintenance notifications are easy to use. The add ons really make this product shine -- with the help of free libraries of addons and plugins online there is very little that can't be monitored by this software. Plus, the price is right! It can be a little clunky to configure -- manually editing text files in a CLI isn't exactly my idea of a great time. There are GUI plugins available, but I have yet to find one that works as well as simply editing the config files. This is our backup monitoring solution -- a "who's monitoring the monitor" thing. It works very well. It can be a bit confusing at the beginning. Monitoring of our Network infrastructure. We can monitor in real time. "Nagios is OK not great"
The actual look of the page is plain and there is a lot of redundancy. We are immediately alerted of critical issues which helps organize a schedule for tower crew to fix in a timely manner. It allows for minimal downtime for our connected customers. "Nagios has been reliable so far but always needs tweaking"
I like the reliability. It has never failed us to get alerts. We monitor from storage to networking devices. Everything including CPU on a device to amount of storage left in a specific way. "Very helpful and lightweight software for monitoring"
This product was easily-customized for our environment, for each data center being monitored. Sometimes there are issues monitoring Windows VMs inside of VMware. This product can serve you well if you put in the work to customize it to your needs. Our NOC is using this to monitor systems, hosts, and networks. Dashboards and notifications are helpful. The UI is terribly awkward and cumbersome. To modify anything you have to learn specific paths that are not intuitive. It is especially difficult to view details on the alerts that are coming in. Simplicity, easy to configure and multitude of monitoring metrics. We used it for our production monitoring and it has helped meet our business SLA's in terms of problem incidents and alerting. "Nagios is the standard for web service monitoring"
Nagios is ubiquitous when it comes to monitoring and plenty of resources on how to implement it are around. "Open source, good for smaller companies"
Easy to set up, build simple checks, etc. Stick to the best practices. Don't go crazy with customization. Ping checks, canary pages, http responses from various applications for availability checks. * We monitor all Nagios Network Analyzer reviews to prevent fraudulent reviews and keep review quality high. We do not post reviews by company employees or direct competitors. Validated reviews require the user to submit a screenshot of the product containing their user ID, in order to verify a user is an actual user of the product. Hi there! Are you looking to implement a solution like Nagios Network Analyzer?